Originally published by the Utah Personnel Development Center. Rule,S., Morgan,R., Salzberg.C., Horrocks,E. Bartlett,C. (2008). 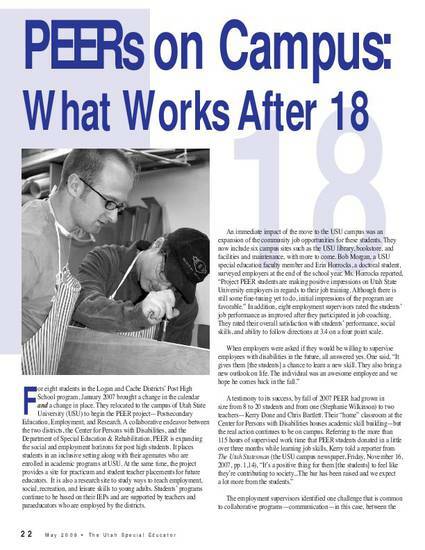 PEERs on Campus: What Works After 18. The Utah Special Educator, May, 28 (4), 22-23.